New Zealand operator Naked Bus will be the first in the country to introduce ‘lie-flat’ sleeper buses this year to make overnight journeys to major centres more comfortable for travellers. Passengers from Auckland, Hamilton, Palmerston North and Wellington will be able to hop on the Sleeper, hop in to bed and make their way from city to city. Bookings on the new Sleeper Bus website will open later this month and from December customers can snooze from centre-to-centre for $50 or less. Naked Bus was launched in October 2006 as a measure to supply affordable, accessible travel around New Zealand. 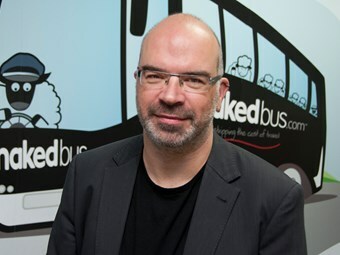 To date more than 2.5 million passengers have boarded a Naked Bus with a 25 per cent growth in passenger numbers predicted for 2015. Chief Executive Officer Hamish Nuttall says the Sleeper is a first for the country which will transform the way people move between the main centres. "We’ve been working tirelessly with regulators, suppliers, design teams and our own in-house expertise to deliver this service – the passion and focus has been amazing," he says. "The buses are being fitted out in Christchurch ready for their first public trip on December 18 – so our Christmas customers can relax, lie down, sleep and arrive refreshed and ready to go. "The smart interior design provides a level of comfort similar to a business class flight but at a fraction of the cost." The beds come with sheets and pillows and wifi, food and drinks are available on board. The Sleeper will run as a trial service initially and customer feedback will play a critical role in the next stage of development. Nuttall says the operator believes in launching early and getting real customer feedback. "Depending on customer views, we will add new routes and services and it is highly likely the offering will look substantially different in six months’ time," he says. "We take our customer relationships very seriously and always take on board their on board view, adapting and improving to meet their needs." Sleeper bus routes are available elsewhere in the world but the Naked Bus Sleeper will be the first of its kind in New Zealand.